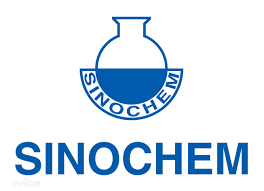 On July 13, State-owned Assets Supervision and Administration Commission of the State Council (SASAC) announced a series of personnel changes of central SOEs at the top level, stating that Mr. Ning Gaoning, Chairman and Secretary of the Party Committee of Sinochem Group Co., Ltd. will also serve as Chairman and Secretary of the Party Committee of China National Chemical Corporation (ChemChina). According to ChemChina’s website, ChemChina is a state-owned enterprise incorporated based on the most influential enterprises under the former Ministry of Chemical Industry. It is China’s largest chemical company ranking the 211th among Global Fortune 500 enterprises. It has 160,000 employees, of whom 83,000 work overseas. In 2016 its assets totaled RMB 377.642 billion, with sales revenue reaching RMB 300.127 billion. ChemChina specializes in six business segments: new chemical materials & special chemicals; basic chemicals; oil processing; agrochemicals; tire & rubber products; chemical equipment. The company has production bases, R&D bases, and full-fledged marketing networks in 150 countries and regions. Specifically, it has six specialized companies, four directly-affiliated units and 92 production and operation enterprises. Also, it controls seven companies listed in the A-share market, with ten overseas subsidiaries being operated. Besides, it has 26 research and design institutes.